There's a family of bumblebees that has set up house next to the stairs onto our back patio. I caught one in a mason jar so I could take its picture and try to identify the species. I think that it's Bombus caliginosus, B. vosnesenskii, or B vandykei. All of those species are found in Oregon and they all look pretty similar to me. 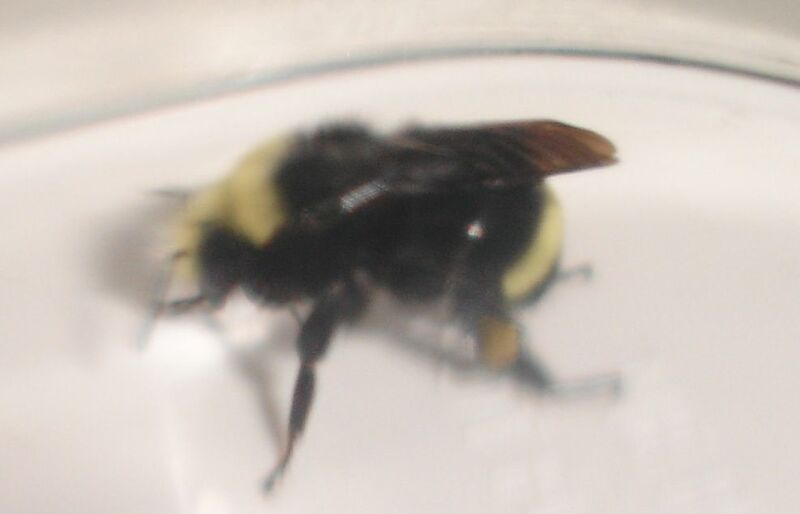 After reading about bumblebee nests, I've learned that they normally only live in them for a couple of months. 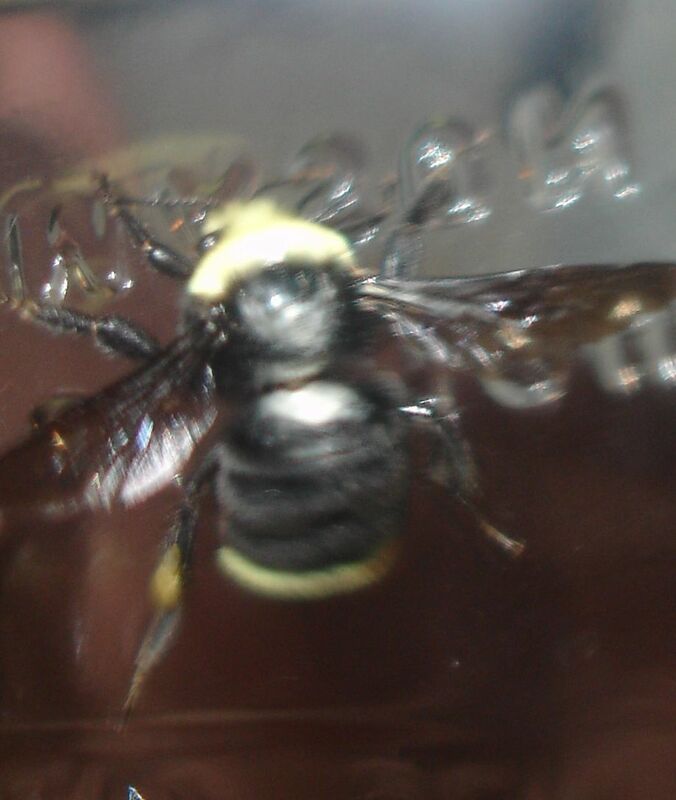 We're planning on leaving our bumblebees alone until they move on.